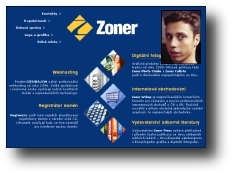 According to an article in The Register, a Czech virus writer known as Benny has been hired by a Czech software development company, as the main developer of their new antivirus product. Benny is one of the most well-known virus writers, with a long history in this area, starting from 1999. This development is really surprising, as obviously any antivirus company would face major credibility problems after doing such a stupid move. Nevertheless, a similar thing happened with the author of the Netsky and Sasser viruses earlier this year. We here at F-Secure don't hire criminals.